Four Feet and Food (now with some training too!) | Doing our best to keep our furry children healthy by being vigilant about what we feed them and how we also keep them mentally stimulated. Doing our best to keep our furry children healthy by being vigilant about what we feed them and how we also keep them mentally stimulated. A friend and I were recently walking out my front door while my dog, Kona, was close at our heels. She turned around and told him “no”. I told her that word means nothing to him and asked him to “back up” instead (a behavior he knows well). This sparked the conversation of “you’re a dog trainer, how does your dog not understand the word ‘no’?” My simple answer is “because he’s never been taught what that means”. 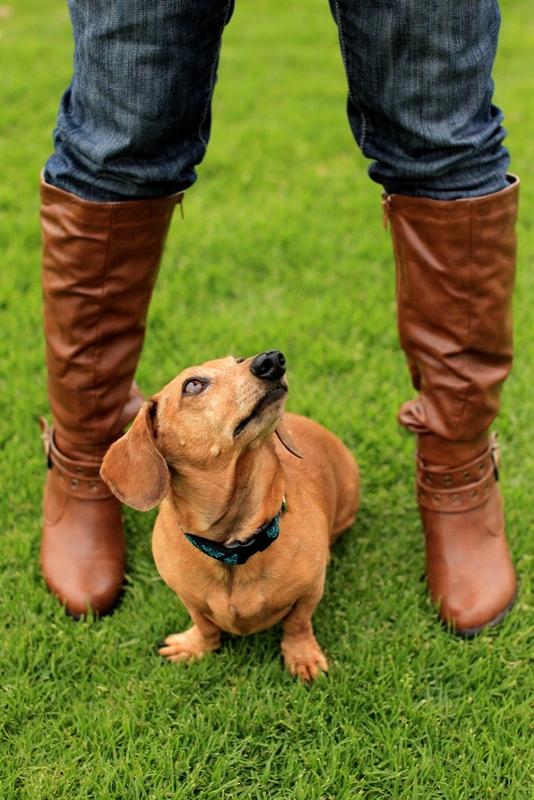 Dogs are not born with an inherent knowledge of the human language or culture. Can they learn a word by the context in which it is delivered? You bet! But it’s up to us to attach some useful information to that word to help them navigate our world where we expect them to live within our expectations. If I yelled “no!” at Kona in a stern tone would he immediately stop what he was doing? He might stop in that instant but what is he supposed to do after that? It’s not really fair for me to tell him to stop doing something without providing any follow up information. You: What do you want for dinner? SO: I don’t know. What do you want? You: How about Chinese food? You: Ok, how about Mexican? You: Then why don’t YOU pick something! It’s frustrating when someone tells you “no” without providing an alternative isn’t it? Without any additional information you don’t know what to do next. Is he/she saying “no” to Chinese food because they aren’t hungry or because they don’t like Chinese? Did they just eat Mexican for lunch and don’t want it again for dinner? WHAT DOES IT MEAN?? Without any additional information you have no idea what to do next! It’s the same for our dogs. “No” doesn’t hold any weight unless you’ve associated a meaning to it for a specific behavior. It is very common for us humans to think “no” can be just a blanket term for “stop what you’re doing this instant” (and don’t do it again) but in reality, most dogs have no idea what that means and are just responding to the tone of our voices. I have taught my dogs many useful behaviors that are all on cue, meaning they have a word or signal attached to them. I have taught them to problem solve and to respond to my cues. I taught them all of this through positive reinforcement training based on mutual trust and respect. I have never had the need to teach my dogs “no” because it has no use in our relationship. Do my dogs do things on occasion that I might not like? Of course! But that’s where the other behaviors they know come into play. I will discuss some alternate behaviors you can teach to prevent unwanted behaviors in a follow up post. In the meantime, if anyone has a solution to the ongoing “what do you want for dinner?” debate with your SO, please share in the comments! Tags: behavior, clicker training, dog behavior, KPA, positive reinforcement training, puppies, training | Permalink. When I originally started this blog, it was meant to be a way for me to document the way I was feeding my pets while also helping other people who were looking for ways to improve their pets diet and well-being. Since my last post, which was a long time ago, I embarked on a journey to not only help people keep their pets healthy by feeding them a good diet but also helping to improve their overall health by learning a different approach to training and behavior modification. When I decided I wanted to get my certification as a professional dog trainer I searched around the internet a lot and found a lot of different schools. There is no real governing body that oversees the industry so anyone can call themselves a “professional dog trainer” but there are a lot of schools out there willing to sell you a certification. I reached out to people in my dog loving community (which was WAY smaller at that time than it is now) and told them what I wanted to do and asked their opinions. During my research I came across the Karen Pryor Academy. I read a little bit about their philosophies and programs. What really stood out for me in this school was their “no aversives” approach to training, meaning no choke, pinch or shock collars. No corrections. This was exactly the kind of training I was looking for, these were MY people. I really want to post more about my journey going through the Karen Pryor Academy because it is, and continues to be, so exciting for me but there’s just so much to write! So to begin with I want to explain why I am so averse to aversives: When Chile was about three years old (she’s now twelve) I decided to take her to a “professional” dog trainer to help me make her stop doing things that I didn’t want her doing (barking at the doorbell, pulling on her walks, barking at other dogs, etc). The first thing this trainer did was take off Chile’s body harness and put a choke collar on her. I was about 23 years old at that time and my only excuse is, I did not know any better. I had paid for 5 sessions with this trainer but after the second session decided I didn’t like her methods (popping/choking Chile every time she didn’t obey a command and giving her praise and treats when she did) so I stopped going. We did, however, keep the choke collar on Chile while we walked her even after we stopped the lessons. In our minds it was helping us to have more “control” over her while we were outside. Long story a little shorter; pulling on the choke collar resulted in Chile getting a herniated disc in her neck. Chile was in indescribable pain for days, even on medication, before we finally got her in for surgery to fix the disc. 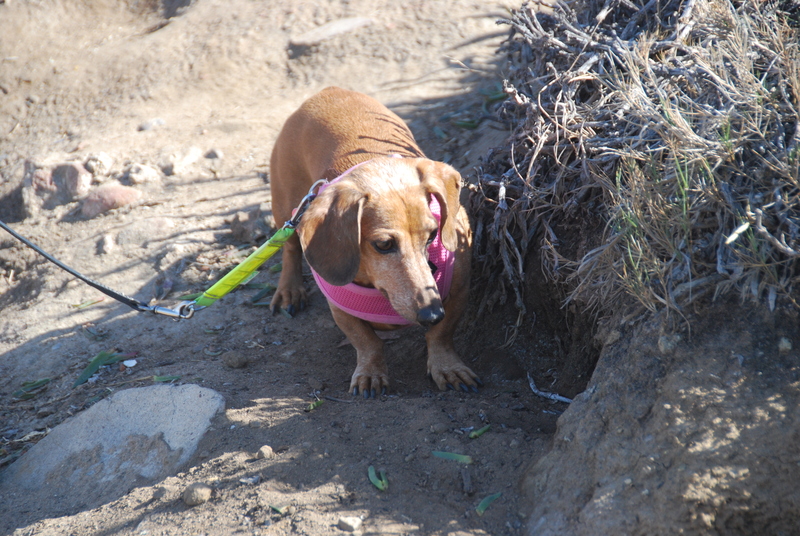 Any disc/back problem is always a risk with a dachshund, but one that was the result of equipment I chose to put on her was pretty much the most horrible feeling in the world. Needless to say, Chile has never been walked on anything other than a body harness since then and I have been an advocate of only using positive reinforcement training, although nine years ago I didn’t really know what that meant. Again, the bottom line is, I just did not know any better when I started using the choke collar as a tool for training and there are so many people out there who are in the same boat. I thought I was doing what was best for my dog by taking her to this professional trainer and followed what she told me to do. I was seeing improvements in the behaviors I wanted to change so I continued to use the tool, even though I stopped seeing the trainer. There was no one around at that time to tell me there were other ways that I could teach the behaviors I wanted while building a stronger relationship with my dog at the same time. So now I love telling anyone who will listen, there is another way! A way that makes your dog an active learner in the process and gets you both to the training goal you want to achieve in a fun and positive way! Tags: behavior and diet, clicker training, karen pryor academy, KPA, training | Permalink. Feeding Raw Should NOT be scary! 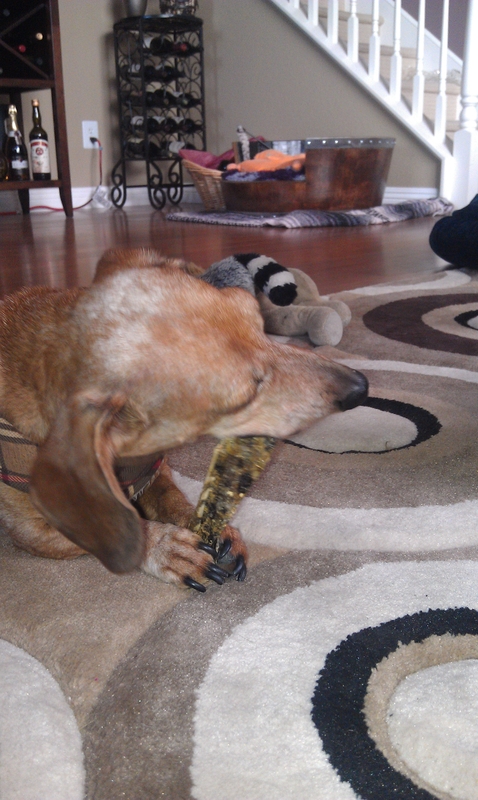 The above link is a great post about feeding your dog raw food. If you ask your vet about feeding raw vs kibble/canned diet and he or she’s answer is an immediate “raw food is bad” I strongly advise you find a new vet. A raw diet is not recommended for all dogs (especially if their immune systems are already compromised) but for an overall healthy dog it’s certainly worth looking into. Feeding your dog a raw diet poses no more of a health risk to you than preparing meat to cook for yourself. Chile has been on a raw diet for over 6 years now and I can’t begin to list all the positive changes we’ve seen in her health. I’ve had people tell me that they “tried feeding raw” and that their dog got an upset stomach so they stopped. As with any change in an animal’s diet you have to do so gradually. A dog’s gastrointestinal system is designed to handle raw meats and bones you just have to introduce it slowly to give their bodies time to adjust from all the processed food they’ve been fed their whole lives. When Chile was on a “high-quality” (read: EXPENSIVE) commercial processed food diet (kibble and canned) it seemed as though anytime she ate something out of the ordinary (even the smallest piece of cheese that she found on the floor) she would have diarrhea for days. This made me very anxious at the thought of switching to a completely different RAW way of feeding. I was in absolute shock that gradually adding in raw food and eventually converting completely, gave Chile little to no stomach problems. In fact since we’ve had her on a total raw diet, her bouts with gastrointestinal distress are almost non-existent. Also, no one we know has ever had salmonella poisoning from being in our house or around our pets. Tags: dog food, raw food | Permalink. Although I love giving Chile homemade treats, I also appreciate being able to buy certain store bought treats to give her a little variety. I’ve mentioned a few other brands that I have researched but I would have to say, when it comes to packaged treats, there is no company I trust more than The Honest Kitchen. The Honest Kitchen (THK) also makes excellent quality dog and cat food that I have fed Chile in the past but since she’s now on a homemade diet we only purchase the treats. THK has a wide variety of treats but the two that suit Chile best (the right texture and ingredients) are Wishes and Beams. Both products are made from a single fish product. Wishes are 100% wild-caught Icelandic Haddock and Beams are 100% wild-caught Alantic catfish skins. I love that the fish are responsibly and sustainably fished and that there are no other added fillers. Wishes are dehydrated haddock fillets that are easy to break into smaller pieces for whatever size dog you have. 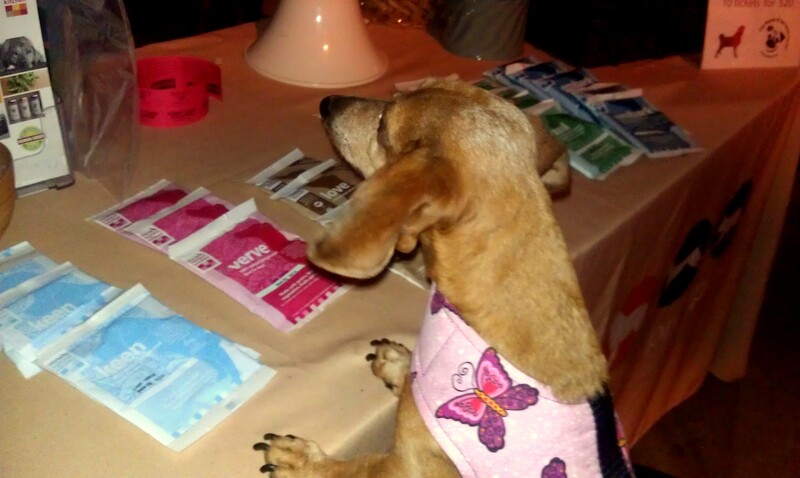 We were first introduced to Wishes when we attended a fundraiser for the local Pug Rescue where THK had a booth set up. Chile is obviously not a pug but she likes to support the adoption of all breeds of dogs 🙂 The product representative offered Chile a few of the normal “biscuit” type treats (which are also made with high quality ingredients) but she turned her nose up at each one. I was quite familiar with most of THK products having bought most of the treats for Chile myself but ended up giving them to friends for their dogs since she wouldn’t eat them. The rep went under the table and pulled out a new bag of treats I hadn’t seen before, called Wishes. As soon as she opened the bag Chile’s ears and nose perked up. She was definitely interested in THOSE treats and gobbled them down. The rep told me they were new and they didn’t have any sample bags so I ran down to Dexter’s Deli the next day to find some. Unfortunately they don’t keep them in stock, it’s a small store, but they’re always happy to order anything for us. We’ve been buying Wishes for Chile ever since. Of course they do smell rather fishy, being made purely of fish, but the scent doesn’t linger long. Beams are a relatively new product of THK. When I read on their Facebook page that they were coming out with a chewy treat that could be an alternative to chicken jerky or bully sticks I was pretty excited. When I saw them in the store, however, I was a little disgusted. Fish skins aren’t the most appetizing thing to look at let alone smell. The nice lady working at the counter of Dexter’s Deli gave me a sample of a stinky fish Beam to take home to Chile. Chile absolutely loved the sample I gave her so, of course, Beams are always on the Dexter’s Deli list too. Be warned though, these are even stinkier than the Wishes and they are chewier so they take a dog Chile’s size (12 lbs) a bit longer to eat. Any surface she eats them on smells like fish if it’s not cleaned right away. When we take Chile to restaurants we like to bring along a toy or a chew to keep her busy but Beams are not really restaurant friendly because the stench travels. At home, however, we are more than happy to deal with the smell because she loves to chew on them so much. Another HUGE plus with the Beams is that they don’t upset Chile’s stomach no matter how big of a chunk she swallows. Other chews I’ve given her in the past have caused all kinds of gastrointestinal distress because she’ll chew them down until they’re just small enough and then gulp them down as if she were a pelican. I usually try to take away any treats that she doesn’t chew down all the way to prevent problems later but sometimes she is just too quick and I also hate having to throw away a quarter of every treat I give her. She has had no problem at all with any size Beam she’s forced down her gullet. Although you should always closely supervise your dog when giving any kind of chew, it’s nice peace of mind to know I don’t have to wrestle the last bit of soggy fish skin away from her when she’s about to swallow it. Although Wishes and Beams might be considered on the pricey side to some ($8.99-$12.99 depending on the size of the bag) they are definitely worth every penny for the high-quality, human-grade ingredients that are healthy for your dog and responsibly sourced so they are healthy for the environment too. 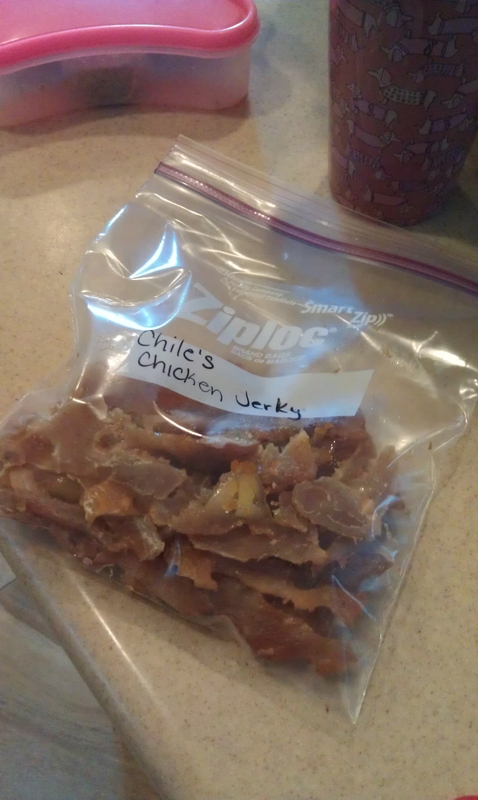 Yesterday I finally got around to making some homemade chicken jerky. It was very easy and turned out pretty good for a first try. Just like the sweet potato chews this is probably much faster with a food dehydrator but the giant cupboard in the garage where I keep my kitchen gadgets is approaching maximum capacity and an oven seems to do the job just fine. Lightly grease a cookie sheet with olive oil to prevent sticking. I covered the cookie sheet with foil for easier clean up and brushed it lightly with some EVOO. 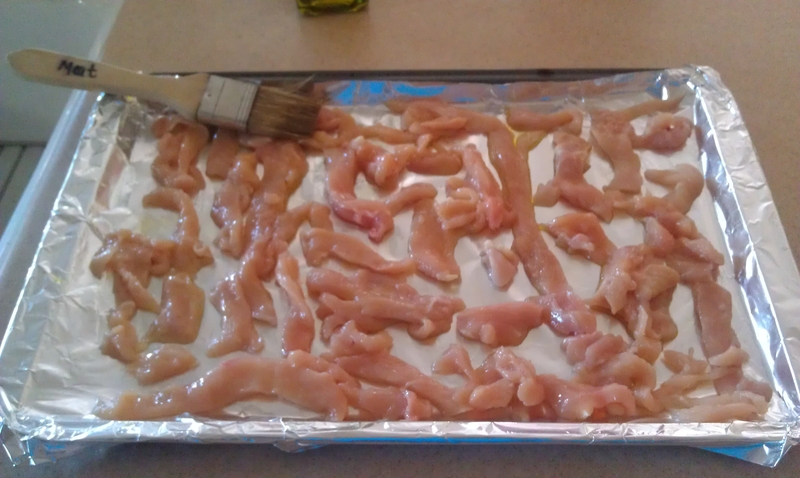 Place chicken strips in a single layer on the cookie sheet as spread out as possible. Place cookie sheet on middle rack of the oven and check on the strips after about thirty minutes. (The “recipe” I found online said 20 minutes, mine were not even CLOSE to being jerky at 20 mins). Continue checking on the strips every thirty minutes until they are firm and look chewy. I had VERY small strips and pieces, it took about 3 hours and 30 minutes. The pieces did harden up a bit after I turned off the oven too. I’ve stored them in the refrigerator because I’m not sure how long they will last at room temperature without any preservatives. Chile absolutely loved them and I don’t have to worry about any recalls ! 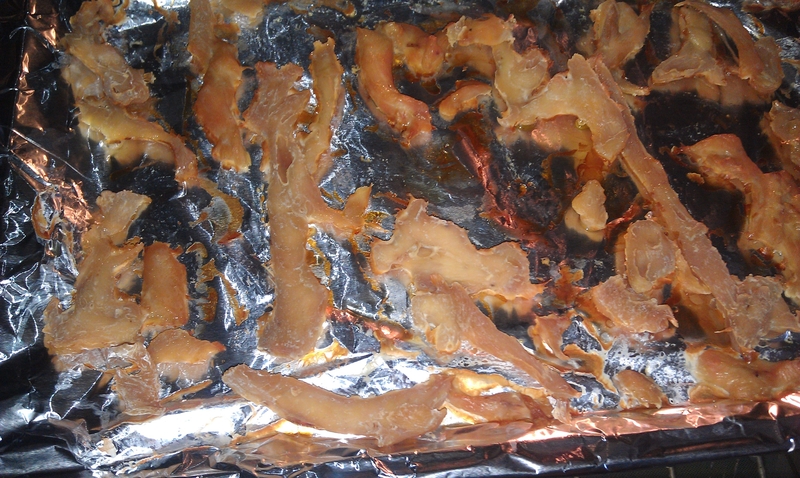 Tags: homemade chicken jerky, homemade dog treats, safe dog treats | Permalink. With all of the circulating reports of dogs falling ill or even dying after eating jerky treats, I no longer feel confident feeding Chile most store-bought chews. She is a dog, however, and loves to have chewy treats to gnaw on and I like them because they keep her busy if we are out at a restaurant with her or shopping, etc. I decided to try making some sweet potato chews at home and it was actually pretty simple. Chile loved them and my husband and I even ate some as a snack ourselves. I made them in the oven so it t ook a few hours but if you have a food dehydrator that would probably be faster. Scrub the sweet potato (I used one large, organic sweet potato), no need to peel. 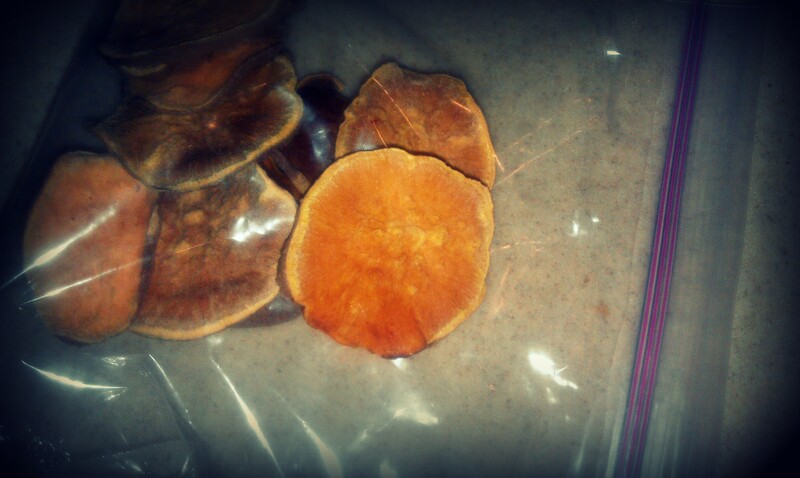 Cut the sweet potato into the desired size, I cut them into chip-sized discs because Chile has a smaller mouth. The ones you see sold in stores are usually cut lengthwise to make them look like jerky. The thinner you cut the slices the shorter your baking time. Place the slices in a single layer on a cookie sheet and bake at 250° F for three hours (slightly chewy) or longer for crunchier. Keep an eye on them because your cooking time will vary depending on your oven and the thickness of your slices. Tags: dogs and cats, homemade dog treats, safe treats, sweet potato treats | Permalink. anything we wouldn’t eat ourselves!! From what I’ve seen only a few of their treats (clearly labeled) contain chondroitin and glucosamine, and as far as the other ingredients that they do source from China I think the amounts are very minute. I would have a much bigger issue with them if the protein was sourced from China. We continue to give Chile Zuke’s treats but we are very conservative with them so her daily intake of treats is quite minimal. She usually gets about two of the small training bites in her Kong when she goes into her dog run in the morning. If she gets any treats at night they are most likely carrot pieces from our salads or homemade sweet potato jerky (I will post a recipe later). Chile really enjoys treats made by Salmon Paws and I like them because their products are 100% Wild Caught Alaskan Salmon. If you are feeding Salmon Paws be careful to put any opened packages in the refrigerator immediately as these will get moldy very quickly. I’m sure there are many other manufacturer’s that are just as responsible when it comes to sourcing their ingredients, the ones listed here are just a few that I have personally researched and trust. Tags: cloud star, safe treats, salmon paws, zuke's | Permalink.